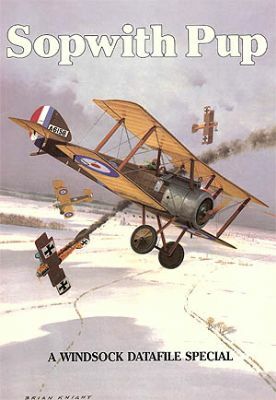 IN documenting this classic Sopwith design, Jack Bruce has pulled out all the stops; there are 44 densely illustrated pages, ten of them in full colour, providing over 20 sparkling profiles by Ray Rimell and 33 airframe close-ups of the ​​​​​​RAF Museum Pup including full cockpit details! In addition there are 73 archive photos from the JMB/GSL Collection including close-up detail, dashboard sketch, fuselage markings and colour notes, plus superb scale drawings in 1:48 and 1:72 scale by Steve Simkin. Detailed appendices also include a survey of Sopwith Pup model kits both flying and non-flying. This is the ultimate Pup reference for modellers and one of our most popular titles with over 10,000 copies sold! Special Pup features for our Summer edition with model build, kit reviews, colour profiles and close-up details! Plus! Win an Eduard Hannover in our exclusive competition!